Release. Crossing over. Passing. This is the moment when the human incarnation ceases to exist in the world. Do I believe that? Do I believe that Jesus of the flesh is less present than Jesus of the spirit? Maybe all I can say is that at the moment of death, the human voice of Jesus was silenced and humanity passed back into a world without the sound of it. We are left with his words, passed to us indirectly by reported accounts. We are left to struggle with what these words mean to us, now, the living. Jesus says “It is finished.” Then cries in a loud voice, “Father, into your hands I commend my spirit.” What is it that is finished? This is one of those deceptively simple questions. What is “finished”? Certainly not his work in the world. Certainly not his presence. Certainly not his love for us. Certainly not the work he has left for us to do. What is finished? As Christians, we don’t believe in the finality of death. Therefore, could we say that the death of Jesus on the Cross is the last “human” death? Isn’t it the one that set us free? Death teaches us how to live in the world; it reminds us of the preciousness of life. Like all knowledge we are free to do what we will with it: to ignore it, to deny it, to try to outrun it. 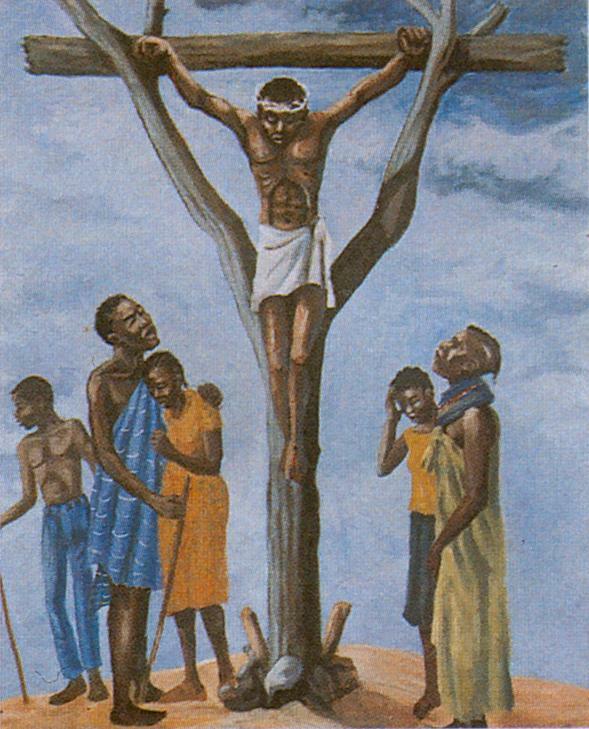 Then we stand at the foot of the cross and are reminded that God came among us, and when he did, we nailed him to a tree. Maybe I don’t mean this to sound as blunt as it does. Maybe I do. I think it is important to be aware of our capacity to do harm, even to (or especially?) to divinity itself. I think it is important to remember that God has intimate knowledge of human death, a death at our hands. What are we capable of? What are we not capable of? What do we do about it? You are currently reading The Seventh Station: Jesus teaches us how to live at Blog of St. Luke in the Fields.